The 2 Series offers optional City Collision Mitigation, which use forward mounted sensors to warn the driver of a possible collision ahead. If the driver doesn’t react and the system determines a collision is imminent, it automatically applies the brakes at full-force in order to reduce the force of the crash or avoid it altogether. The Camaro doesn't offer collision warning or crash mitigation brakes. The 2 Series offers all-wheel drive to maximize traction under poor conditions, especially in ice and snow. The Camaro doesn’t offer all-wheel drive. The 2 Series’ optional lane departure warning system alerts a temporarily inattentive driver when the vehicle begins to leave its lane. The Camaro doesn’t offer a lane departure warning system. The 2 Series offers optional Park Distance Control to help warn the driver about vehicles, pedestrians or other obstacles behind or in front of their vehicle. The Camaro doesn’t offer a front parking aid. Both the 2 Series and the Camaro have standard driver and passenger frontal airbags, front side-impact airbags, side-impact head airbags, front seatbelt pretensioners, plastic fuel tanks, four-wheel antilock brakes, traction control and electronic stability systems to prevent skidding. For its top level performance in all IIHS frontal, side, rear impact and roof-crush tests, and with its optional front crash prevention system, the Insurance Institute for Highway Safety grants the 2 Series its highest rating: “Top Pick Plus” for 2014, a rating granted to only 48 vehicles tested by the IIHS. The Camaro has not been tested, yet. The 2 Series comes with a full 4 year/50,000 mile basic warranty, which covers the entire car and includes 24 hour roadside assistance. The Camaro’s 3 year/36,000 mile basic warranty expires 1 year and 14,000 miles sooner. The 2 Series’ corrosion warranty is 6 years and unlimited miles longer than the Camaro’s (12/unlimited vs. 6/100,000). BMW pays for scheduled maintenance on the 2 Series for 2 years and 26000 miles longer than Chevrolet pays for maintenance for the Camaro (4/50,000 vs. 2/24,000). For smoother operation, better efficiency and fewer moving parts, the engines in the 2 Series have an overhead cam design, rather than the old pushrod design of some of the engines in the Camaro. 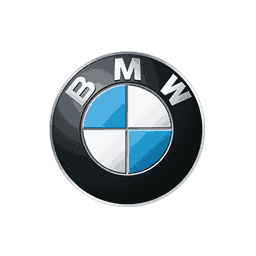 To reliably power the ignition and other systems and to recharge the battery, the 2 Series has a standard 170-amp alternator (210-amp - 2 Series 6 cyl.). The Camaro’s 150-amp alternator isn’t as powerful. J.D. 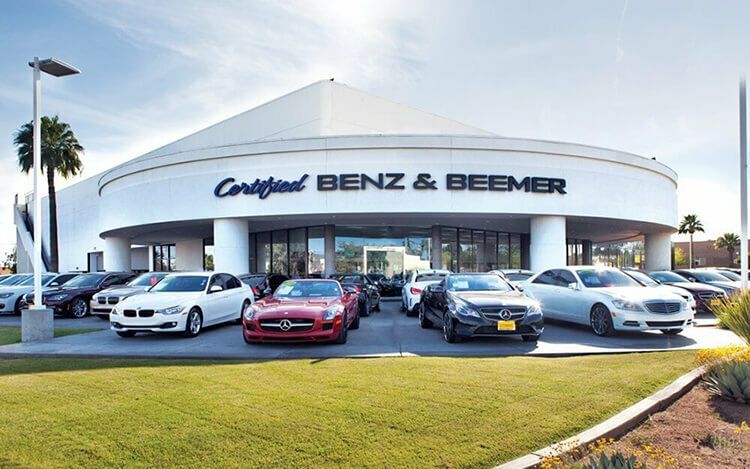 Power and Associates’ 2014 survey of the owners of three-year-old vehicles provides the long-term dependability statistics that show that BMW vehicles are more reliable than Chevrolet vehicles. J.D. Power ranks BMW 11th in reliability. With 2 more problems per 100 vehicles, Chevrolet is ranked 13th. Regenerative brakes improve the 2 Series’ fuel efficiency by converting inertia back into energy instead of wasting it. The Camaro doesn’t offer a regenerative braking system. In heavy traffic or at stoplights the 2 Series’ engine automatically turns off when the vehicle is stopped, saving fuel and reducing pollution. The engine is automatically restarted when the driver gets ready to move again. (Start/Stop isn’t accounted in present EPA fuel mileage tests.) The Camaro doesn’t offer an automatic engine start/stop system. Changing a flat tire near traffic can be dangerous and inconvenient. The run-flat tires standard on the 2 Series can be driven up to 50 miles without any air pressure, allowing you to drive to a service station for a repair. The Camaro doesn’t offer run-flat tires. The 2 Series has standard front and rear gas-charged shocks for better control over choppy roads. The Camaro’s suspension doesn’t offer gas-charged shocks. The 2 Series offers an optional driver-adjustable suspension system. It allows the driver to choose between an extra-supple ride, reducing fatigue on long trips, or a sport setting, which allows maximum control for tricky roads. The Camaro’s suspension doesn’t offer adjustable shock absorbers. The M235i handles at .97 G’s, while the Camaro SS Coupe pulls only .88 G’s of cornering force in a Motor Trend skidpad test. The M235i executes Motor Trend’s “Figure Eight” maneuver 1.7 seconds quicker than the Camaro LT Coupe (24.9 seconds @ .78 average G’s vs. 26.6 seconds @ .67 average G’s). For better maneuverability, the 2 Series’ turning circle is 1.9 feet tighter than the Camaro’s (35.8 feet vs. 37.7 feet). The BMW 2 Series may be more efficient, handle and accelerate better because it weighs about 400 to 500 pounds less than the Chevrolet Camaro. The 2 Series is 1 foot, 4.1 inches shorter than the Camaro, making the 2 Series easier to handle, maneuver and park in tight spaces. The 2 Series is 5.7 inches narrower than the Camaro, making the 2 Series easier to handle and maneuver in traffic. The design of the BMW 2 Series amounts to more than styling. The 2 Series offers aerodynamic coefficients of drag from .29 to .33 Cd (depending on bodystyle and options). That is lower than the Camaro (.35 to .37). A more efficient exterior helps the 2 Series go faster and keeps the interior quieter. It also helps the 2 Series get better fuel mileage. For excellent aerodynamics, the 2 Series has standard flush composite headlights. The Camaro has recessed headlights that spoil its aerodynamic shape and create extra drag. The 2 Series has 2.6 inches more front headroom, 1.2 inches more rear headroom, 3.1 inches more rear legroom and 4.8 inches more rear shoulder room than the Camaro Coupe. The 2 Series’ standard folding rear seats are split to accommodate bulky cargo. The Camaro Coupe’s standard single piece folding rear seat is not as flexible; long cargo and a passenger can’t share the rear seat. With its coupe body style, valet key, locking rear seatbacks and remote trunk release lockout, the 2 Series offers cargo security. The Camaro’s non-lockable folding seat and non-lockable remote release defeat cargo security. When two different drivers share the 2 Series, the optional memory system makes it convenient for both. Each setting activates different, customized memories for the driver’s seat position, outside mirror angle, climate settings and radio stations. The Camaro doesn’t offer a memory system. If the front windows are left down on the 2 Series w/Comfort Access the driver can raise them using the key in the outside lock cylinder. On a hot day the driver can lower the windows from outside the vehicle using the key in the outside lock cylinder or the keyless remote. The driver of the Camaro can only operate the windows from inside the vehicle, with the ignition on. Comfort Go standard on the 2 Series allows you to start the engine without removing a key from pocket or purse. The Chevrolet Camaro doesn’t offer an advanced key system. The 2 Series has a standard locking fuel door with a remote release located convenient to the driver. A locking fuel door helps prevent vandalism, such as sugar in the tank and fuel theft. The Camaro doesn’t offer a locking fuel door. The 2 Series’ rain-sensitive wipers adjust their speed and turn on and off automatically based on the amount of rainfall on the windshield. This allows the driver to concentrate on driving without constantly adjusting the wipers. The Camaro’s manually variable intermittent wipers have to be constantly adjusted. Heated windshield washer nozzles are standard on the 2 Series to prevent washer fluid and nozzles from freezing and help continue to keep the windshield clear in sub-freezing temperatures. The Camaro doesn’t offer heated windshield washer nozzles. In poor weather, headlights can lose their effectiveness as grime builds up on their lenses. This can reduce visibility without the driver realizing. The 2 Series offers available headlight washers to keep headlight output high. The Camaro doesn’t offer headlight washers. While driving with high beams on, sensitive light sensors available for the 2 Series detect other vehicles which could be blinded and automatically switch to low beams. The Camaro doesn’t offer automatic dimming high beams. To help drivers avoid possible obstacles, the 2 Series offers optional cornering lights to illuminate around corners when the turn signals are activated. The Camaro doesn’t offer cornering lights. The 2 Series also offers optional adaptive headlights to illuminate around corners automatically by reading vehicle speed and steering wheel angle. The 2 Series’ standard outside mirrors include heating elements to clear off the mirrors for better visibility. Chevrolet offers heated mirrors for extra charge, but only on the Camaro LT/SS. When the 2 Series is put in reverse, the passenger rearview mirror tilts from its original position. This gives the driver a better view of the curb during parallel parking maneuvers. Shifting out of reverse puts the mirror into its original position. The Camaro’s mirror doesn’t automatically adjust for backing. On extremely cold Winter days, the 2 Series’ optional heated steering wheel provides comfort, allowing the driver to steer safely and comfortably before the car heater warms up. The Camaro doesn’t offer a heated steering wheel. The 2 Series has a standard center folding armrest for the rear passengers. A center armrest helps make rear passengers more comfortable. The Camaro doesn’t offer a rear seat center armrest. The 2 Series’ standard dual zone air conditioning allows the driver and front passenger to choose two completely different temperatures so people with different temperature preferences won’t have to compromise. This makes both the driver and front passenger as comfortable as possible. The Camaro doesn’t offer dual zone air conditioning. The 2 Series’ standard automatic temperature control maintains the temperature you set, automatically controlling fan speed, vents and temperature to maintain a consistent, comfortable environment. The Camaro doesn’t offer automatic air conditioning. For greater rear passenger comfort, the 2 Series has standard rear a/c vents to keep rear occupants more comfortable. The Camaro doesn’t offer rear vents. With optional voice command, the 2 Series offers the driver hands free control of the radio, cell phone and the navigation computer by simply speaking. The Camaro doesn’t offer a voice control system. The 2 Series’ optional Parking Assistant can parallel park or back into a parking spot by itself, with the driver only controlling speed with the brake pedal. The Camaro doesn’t offer an automated parking system.